Who Are The Karen Long Neck Hill Tribes People? I’d heard so much about Thailand before going – the beautiful islands, the sand, the sea and of course, the infamous full moon party. Thailand is a popular hotspot among Westerners – we’ve all heard the sordid tales of the exotic dancers, and the ladyboys as well as tales of people getting drunk and enjoying the nightlife. So what the hell was I doing standing knee-deep in mud, building huts for other Westerners then? 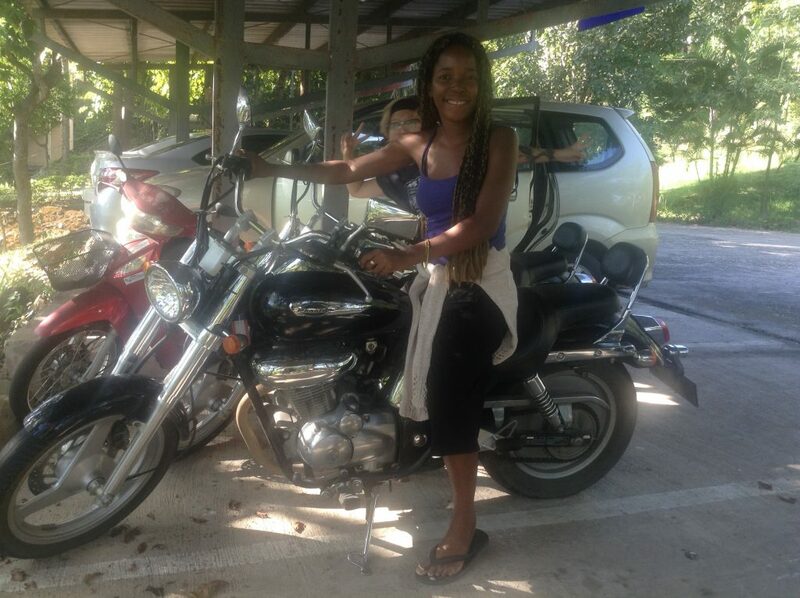 By the time I landed on the sunny shores of Thailand for a second time, I was on a mission. I’d volunteered for an independent NGO – known only as Haasil, which was run by a friendly American lady called Christina. The deal was a place to stay and free food in exchange for labour. My job was to promote an ethical tourism initiative designed to raise awareness about the way in which many of the Karen long neck hill tribespeople are exploited by the Thai tourism industry. 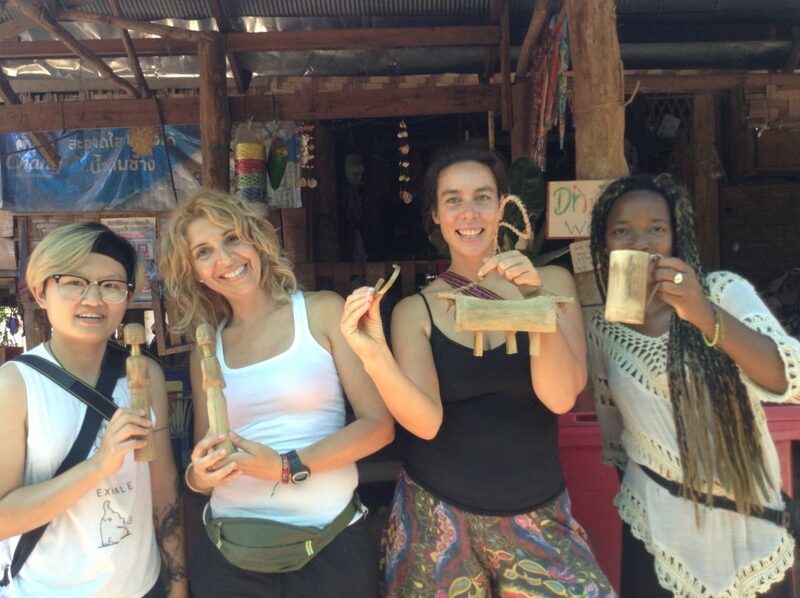 I did this by writing blogs, social media posts, acting as a tour guide, contributing ideas and….building mud houses. The first day I arrived, was basically just settling in with Christina who explained how the project worked and finding out a little more about each other. She also introduced me to some of the other volunteers. She lived in a 2 story open plan house, which had no outer walls or windows. That means that anybody could enter the living room of the house and access other rooms. Of course, other rooms such as the bedroom, bathrooms and kitchens did have walls, doors and windows, but otherwise it was completely open. The house had a large garden at the back, where Christina was planning on building dorm rooms out of mud and straw. The front room was very bohemian with coloured floorboards and cushions, and it was there that most of our planning sessions took place. On the second day I learned that we would soon be heading over to an authentic long neck hill tribes village called Huay Pu Keng, where we would help the indigenous communities arrange tours on their own terms. 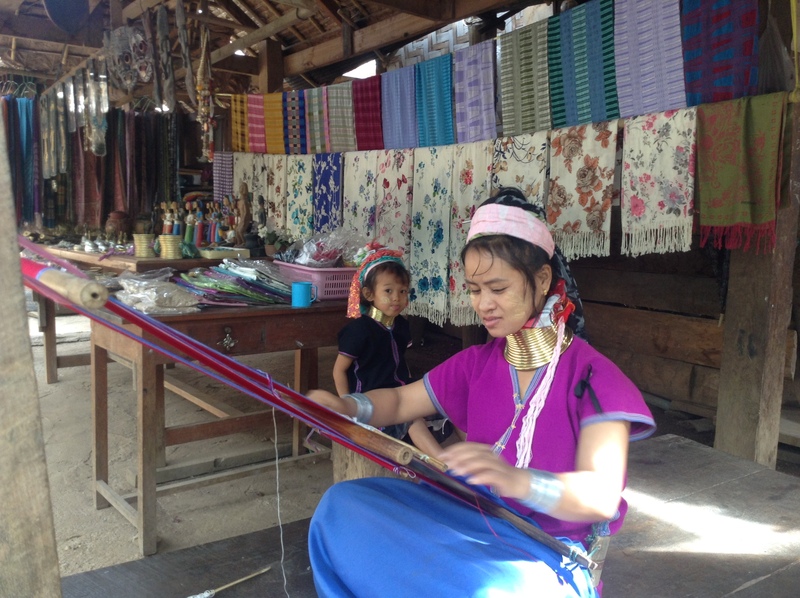 The Karen Long Neck Hill Tribe people, are also referred to as the Kayan tribe, Kayan people or Kayan long neck tribe. They are refugees who previously lived on the hills of Myanmar (formerly known as Burma). They are best recognized for the coils they wear around their necks forearms, and shins. 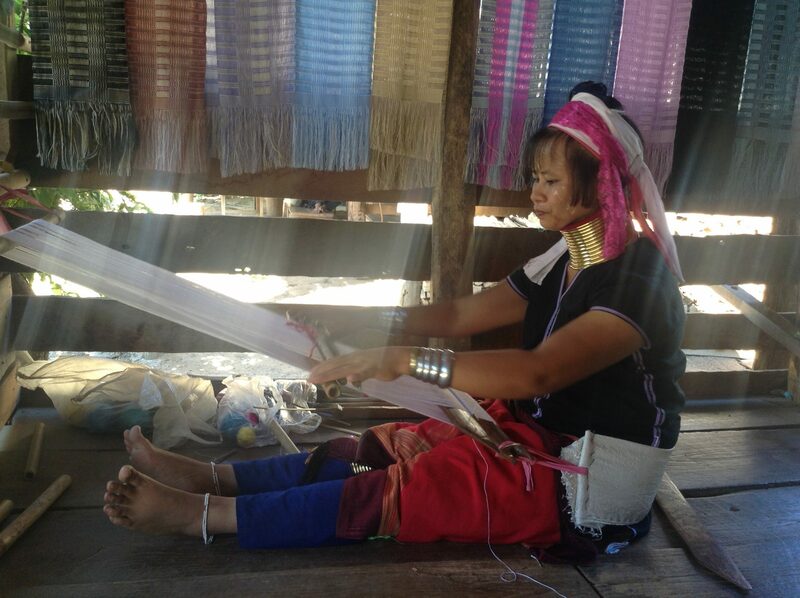 While the Kayan men are mainly field workers and farmers, the women have a rich history of crafting from wood carving to weaving. There are still around 40,000 Karen members today, but thousands have had to flee Burma over the decades due to political unrest. 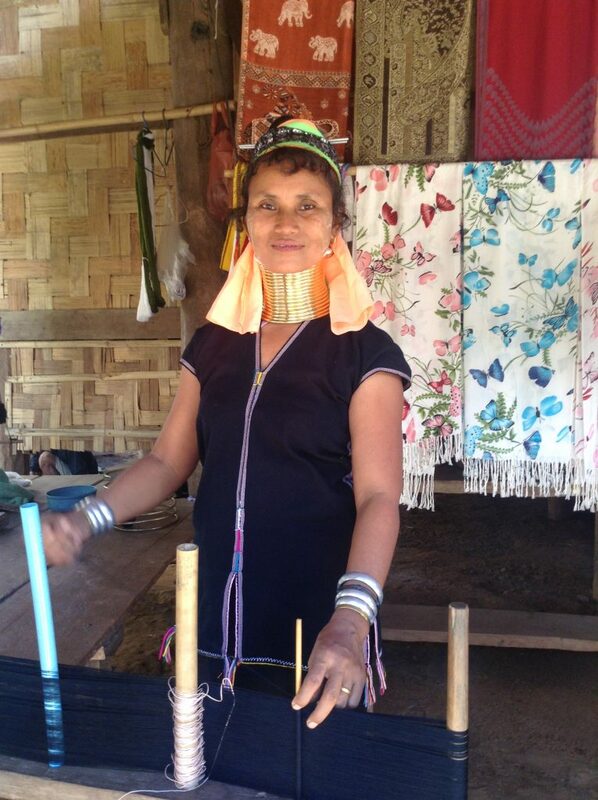 Despite the name, the Kayan tribe do not have long necks. The brass rings they wear actually put pressure on their shoulders and rib cages down just making their necks seem longer. The brass rings, which are also around their shins and arms, are made out of one solid piece of metal making them quite heavy. Many of the women wear the coils out of tradition. Some say that it originated to protect women against tigers in the olden days, others claim it was to make the women unattractive to rival tribes and groups of mercenaries that would otherwise kidnap them. Nobody knows for sure, but many wear the coils out of tradition, while others wear it due to the pressures of tourism. On the first night, I slept upstairs and shared a room with a lady called Rimu. She grew up in the Huay Pu Keng village and originally wore the metal coils around her neck, but later decided that she didn’t want to to wear them. 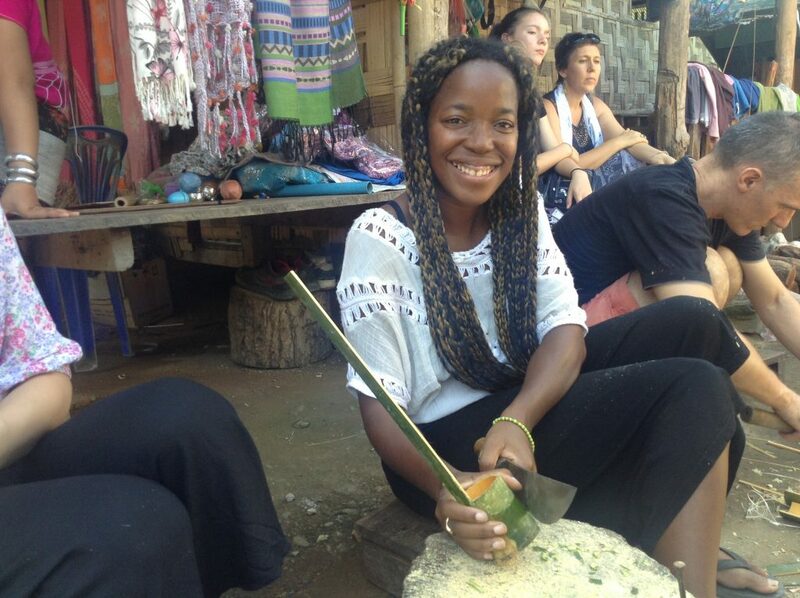 She started working with Christina who was also sponsoring her education. Rimu was a very friendly lady who was shy at first but I started to hang out with her more as the days went on. On subsequent nights I stayed in a tent downstairs in a spot next to the back garden, so that I could feel much closer to the elements. The only downside of sleeping in the tents was the ants. There were just so many of them! I tried everything to keep them at bay! They were everywhere – in my bags, on the tent walls, in the little bed that I’d made up for myself in the tent – on my books and on my hair. Oh and guess what? They were the red biting ants! A nip from one of these little critters could be especially unpleasant. Christina did have some ant powder and bug spray in the home, and I’d use it liberally. 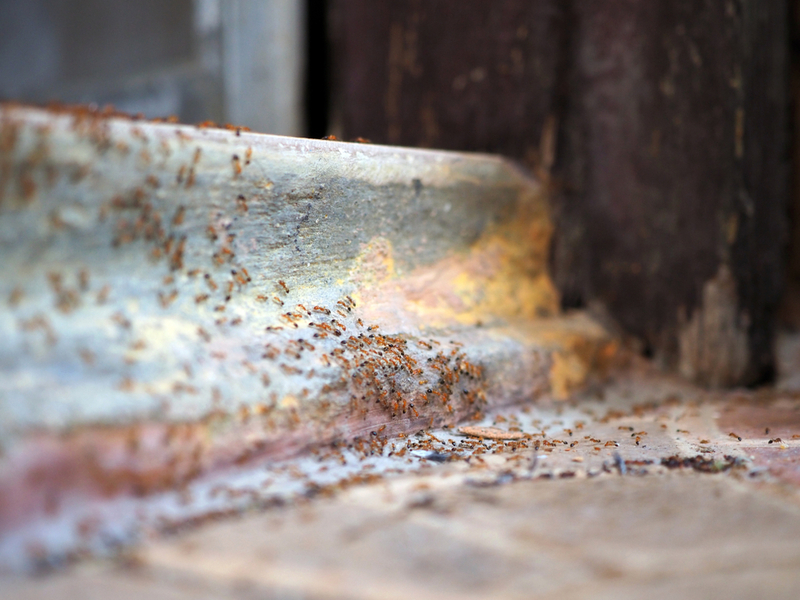 The ants would die or disappear in the sun – but the very next day – more of them came. At one point, my pink and green backpack was black at the bottom – from the ants. I still have nightmares about it now. In fact, I can almost feel them crawling up my arm as I write this! During the day time, we came together as a group, brainstormed fun tourism activities that we could do in conjunction with the local residents at Huay Pu Keng and held planning sessions. Many of the karen long neck hill tribes people are refugees fleeing persecution in Myanmar. Sadly, they are not treated much better in Thailand. The Thai government put strict rules in place which only allows them to work in the tourism industry. By this, I mean they are forced to work in fake long neck villages created by the Thai government. They often receive very little pay – if any at all – and abuse is rampant. 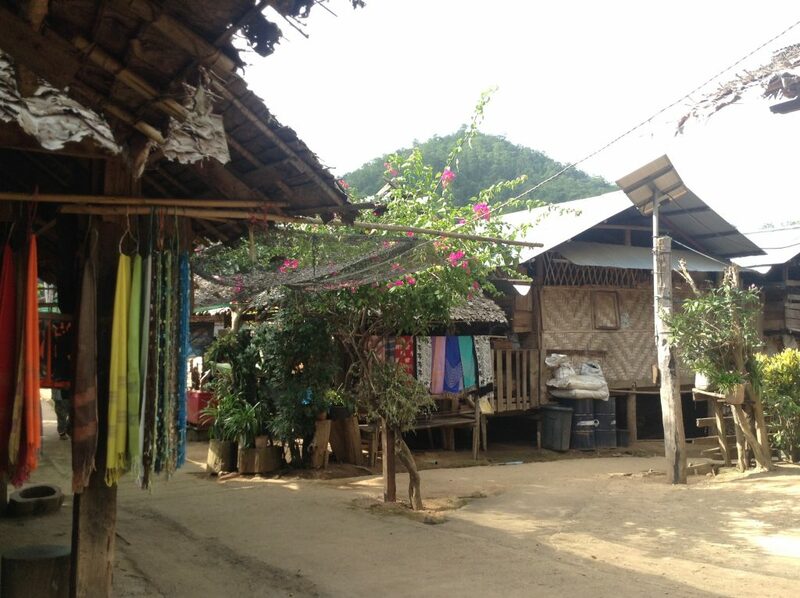 In these villages, long neck hill tribes women are compelled to sell factory-made souvenirs and trinkets as mandated by the Thai government. If you’ve ever been to these long neck villages, you’ll find that the people standing behind the stalls are women with the coils around their neck, because that is what attracts the tourists. However, what you’ll usually find is that there are no men in these villages, because they do not wear the coils and are not considered to be “cute” to the tourists. So families get broken up as a result, and women are shuttled away to these fake tourist villages, while the men are left behind. Sometimes these women are abused or enslaved by their “employers” who treat them as mere cattle. The whole idea behind Christina’s initiative was to spread awareness about this inhumane practice and encourage people to visit an authentic Karen long neck hill tribe village. In this case it was Huay Pu Keng which is run by the indigenous community who live there. Any money generated from the tourists is channeled right back into that community. 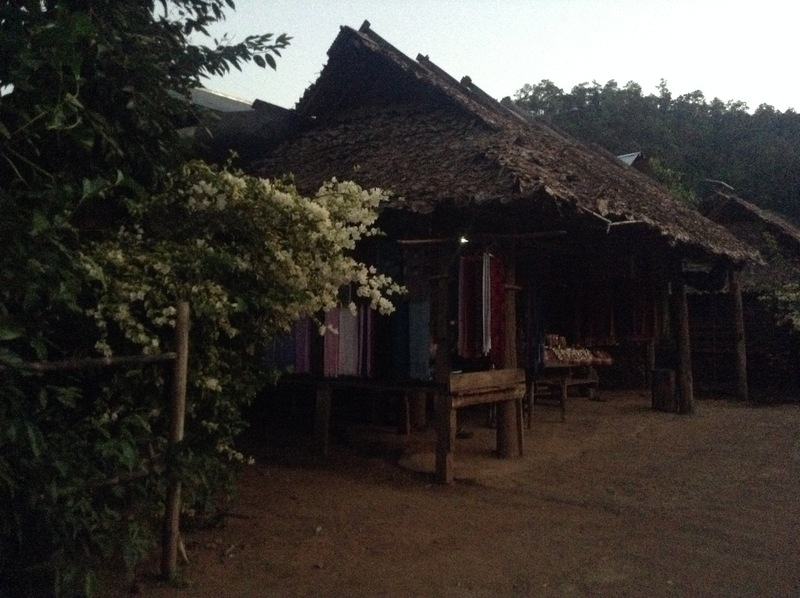 Huay Pu Keng village is based in Mae Hon Song, Northern Pai. Christina’s dedication and work helped Huay Pu Keng to become an established tourist destination in Thailand, where tourists will stay with entire families and learn more about their culture. Before we made our way to Huay Pu Keng, Christina encouraged me to visit a fake long neck village first to understand what the difference was. It was very pretty, manicured and well…fake. The women behind the stalls looked deeply depressed, and there was one very lonely, and clean looking hut, which was reserved for tourists to stay overnight. 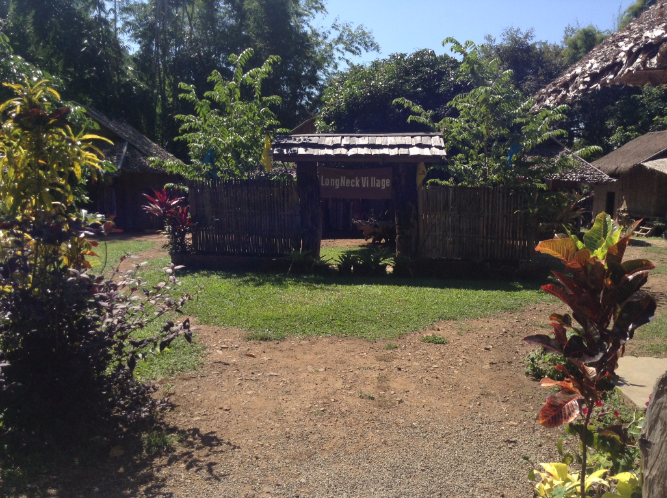 There was nothing to do in the village, except to buy trinkets and sit in the garden. There was also a Thai man carefully watching the women on the stalls. I left after 5 minutes. 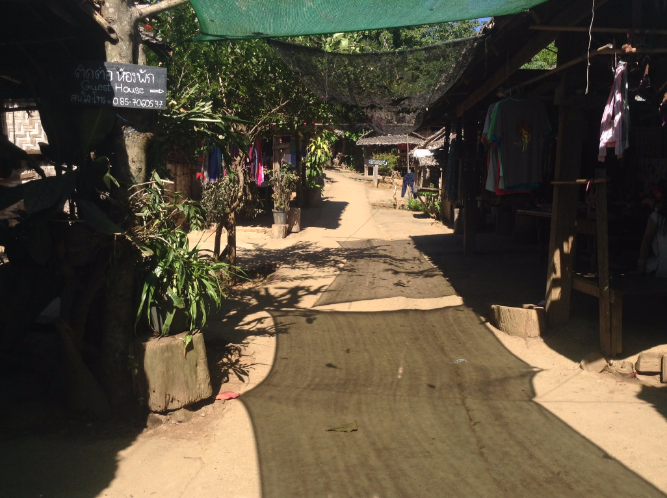 Frankly, the “village” was so small and fake, you really didn’t need any longer than that – despite the 250 BAHT entry fee. When I looked at the surrounding hillside, I could see shabby, derelict-looking huts that looked nothing like the manicured hut that was reserved for any tourist that was bored enough to stay. 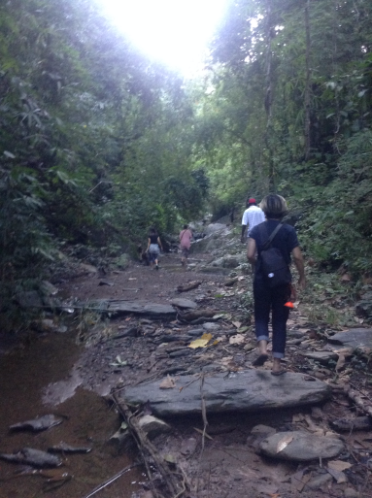 Pretty soon..it was time for me and the entire group of volunteers to make our way to Huay Pu Keng, with Christina. It was a long 3-hour drive and we made a few stops along the way. After a while, we got to the village. We had to take an old, rickety wooden boat across the lake and climb a small hill to get there. 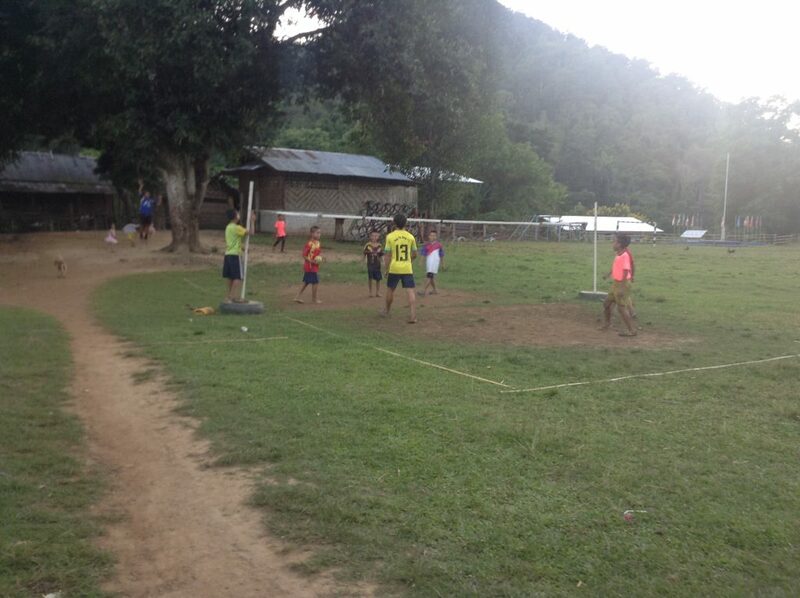 After everyone managed to get across, we were greeted by football fields surrounded by mountains where young children played football and we joined in briefly before making our way to the village chief. We shared our ideas with the village chief but our aim was to work with the tribe to get their ideas and not to impose our own opinions on them. We were not organizing things for them but with them. In the end, the indigenous community decided to hold a number of workshops showing people their native crafts such as going for a medicine walk in the mountains, handcrafting jewellery, wooden dolls and cups. Below is my attempt at making a bamboo cup. One of the challenges we had at the Haasil group is convincing the community that their workshops would be interesting to tourists. They had been so brow-beaten by the Thai government, that their confidence as a tribe and a community had been severely diminished. Rooms were assigned to the volunteers that night, and I ended up staying in a house belonging to one of the families, but in a separate room with an Australian tourist. We slept on a double mattress on the floor covered in a large mosquito net, surrounded by piles of blankets and clothing. At night, we heard the sound of large rats scurrying beneath the floorboards, and the wooden panels creaked as I turned over on them. The room was pitch black – it was like looking into the depths of infinity. After a while, the silence was deafening as the entire village settled down for the night. This was a far cry from the polished huts that I saw in the fake village, but it was an experience that money can’t buy. I heard the high pitched hum of the mosquitos circling my net and despite the lack of modern conveniences – I felt like I was in paradise. I was experiencing the true essence of a raw adventure in an alien world. It felt like I’d only closed my eyes for a few seconds when I heard what sounded like a thousand pans falling to the floor and the sound of loud cockerels. The pungent smell of smoke hit my nostrils, and I saw the first glimmers of daylight. Then I heard what I can only describe as a chorus of pigs squealing outside. I didn’t realise pigs could be so damn loud! Then the village dogs got in on the action and serenaded the whole village with synchronized barking. At that moment, I knew it was time to wake up. Slowly, very slowly, I heard sounds coming from other village huts. The Australian lady who had until this point slept next to me had already awoken. 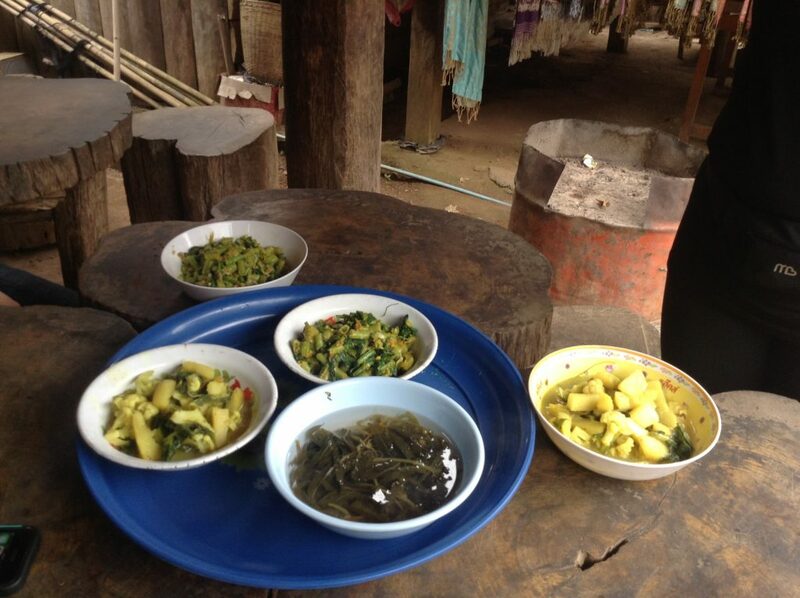 Breakfast was served and on the menu was boiled potatoes, scrambled egg and Burmese curry leaves. The day ahead consisted of more planning, journaling and learning about the Kayan culture. 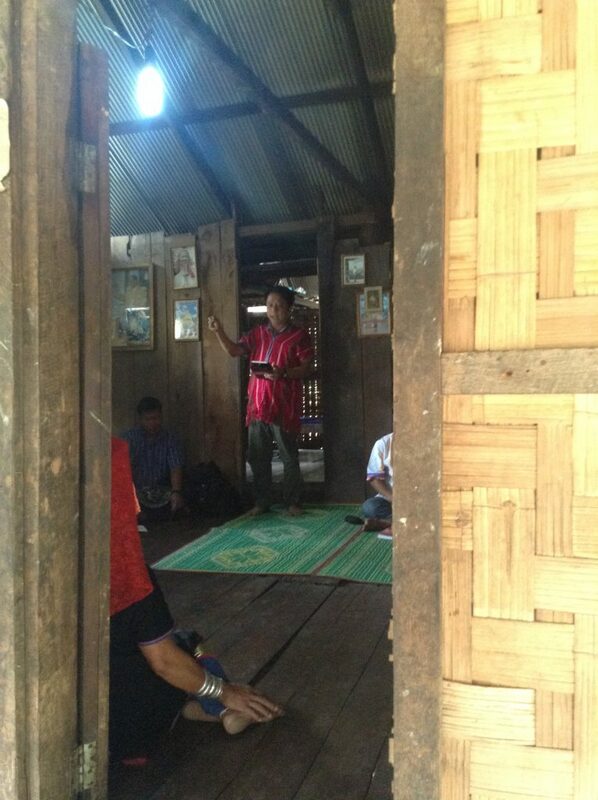 I visited the local school in the area, and a hut that acted as a makeshift church. I didn’t realise that many of the Kayan people were Christian, but most of them were. 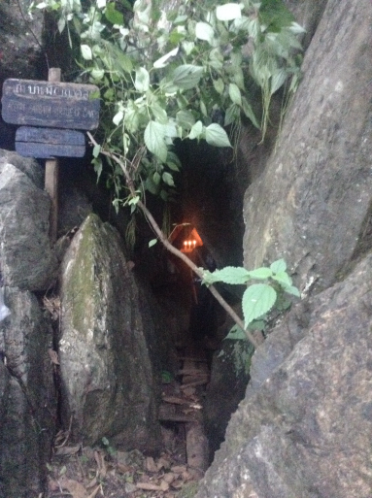 The village is set in the backdrop of a dense, green jungle, and one of the privileges of being a volunteer was hiking to the caves of this jungle. During the hike, we heard about the local myths and legends of the spirits that haunt that region. It is said that if you walk through the jungle on the night of a full moon, the spirits will penalize you by causing bad luck throughout your life. I looked up and was relieved to see the moon was only half full! On the second day, we also went to visit an ancient grave site where those who pass away in the village are buried. 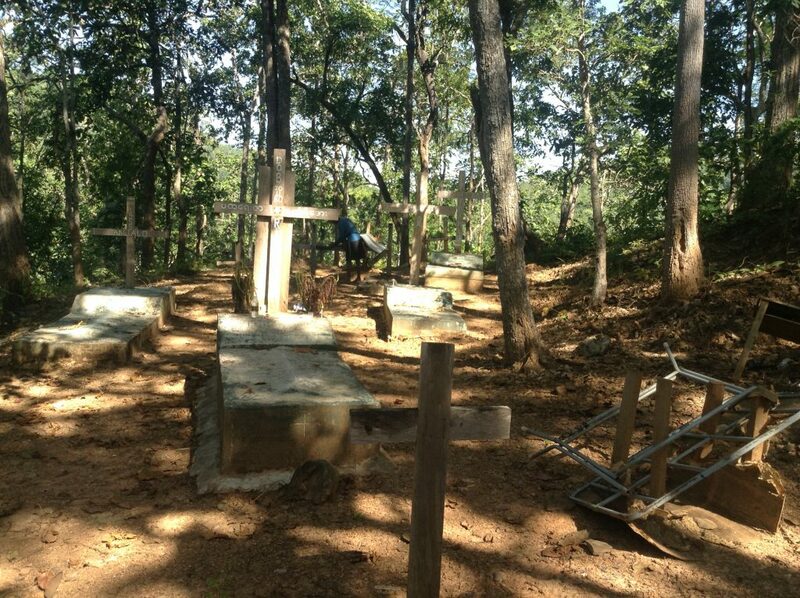 The graveyard is based high up in the mountains and the Huay Pu Keng villagers are given a Christian burial. The atmosphere was very still and eerie, and if you stood still long enough, you could almost feel the sadness mixed with the sacred energy of those who passed away. It was a very humbling feeling standing in a place where many of the villagers pay respects to the dead. Then we had a briefing about the following day, where we would be welcoming other Western tourists into the village. Our job was to hold icebreakers, design posters for the village and plan our welcome activities for the tourists. Over the next few days, I made wooden cups, scarfs, and hiked through the jungle with local medicine men, as we led groups of tourists through the surrounding areas. 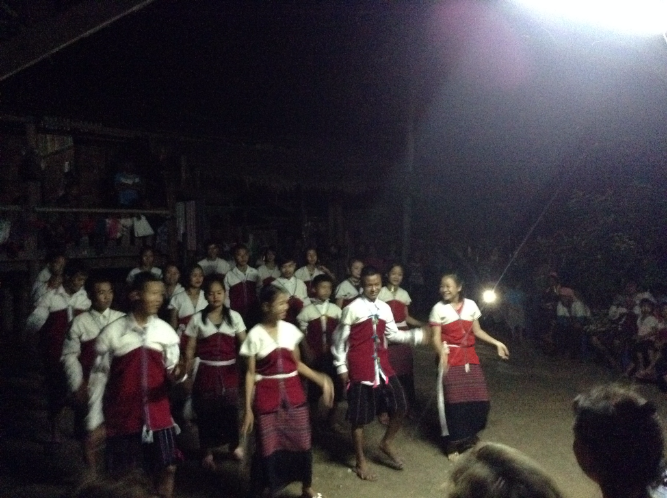 During the night, we were invited to watch dances by the local community. We also held icebreaker games where both tourists and community leaders were invited to say something about themselves using random words and phrases written on the cards as a prompt. 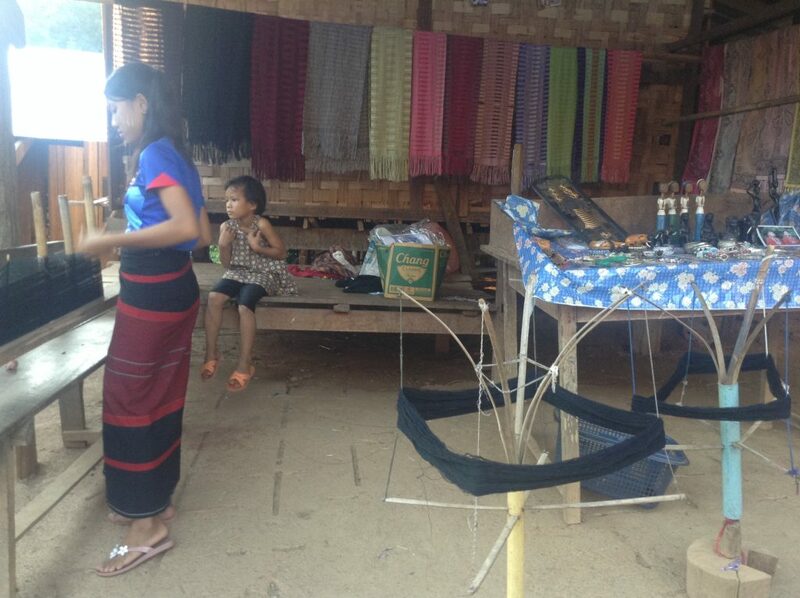 We had translators on hand to do the interpretation between the Burmese hill tribes people and the tourists. The idea behind the icebreaker game was to learn more about the culture of the Kayan people and for them to learn more about our Western traditions. It was sort of like a cultural exchange. I said something about the difference between men and women in a relationship, which got a laugh from everybody – especially some of the older women in the tribe! What a song and dance at Huay Pu Keng! Unfortunately, the sad day came when it was time to leave. But we left satisfied in the knowledge that we had played a major role in helping the village to gain some autonomy. For Christina, she has spent many years working with this village, and I have no doubt she will continue to do so. After 3 days, we returned to Christina’s house, where we spent the next few days in 40-degree heat building mud houses. Christina’s idea was to expand the NGO and so she was building dorm rooms in the back of the garden. 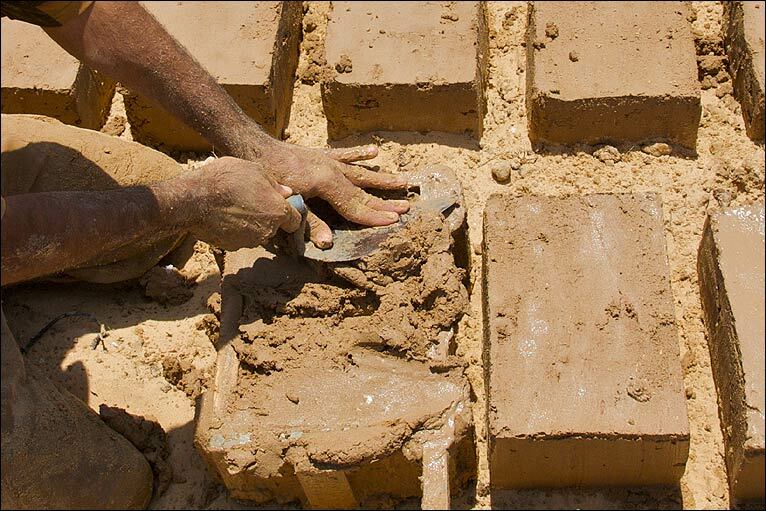 The dorm rooms were made of mud bricks, which we were responsible for making. 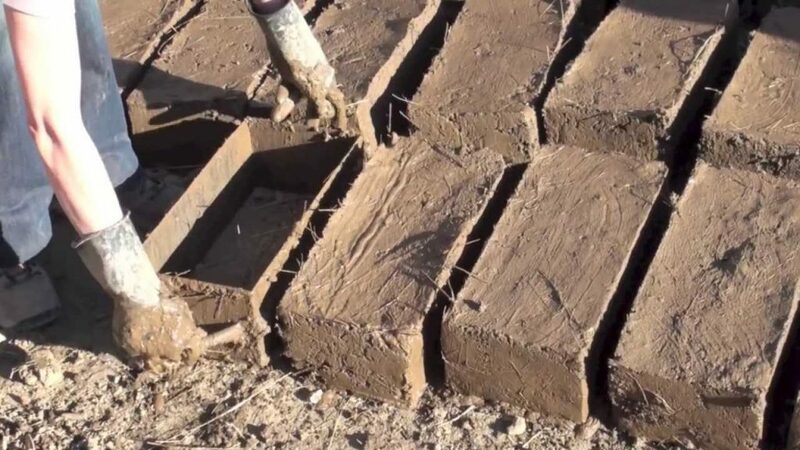 We would make these by laying a wooden ladder flat on the ground and putting mud in the space between the steps of the ladder, which acted as a kind of template. While waiting for the mud to dry, we would dig a hole in the back garden, fill it with water and use our feet to soften the mud. I have to say, there is something fun about running around barefoot in mud which was surprisingly cooling against the fierce sunlight. The only downside was the mud eventually invaded my space in the same way that the ants did! At night time Christina would often take us to some of the local expat bars, where I met fellow travellers and went on motorbike rides throughout the mountains. We even found a local Thai reggae bar a short motorbike ride away from Christina’s house, which was hidden away among the nearby jungle, and riverside. In short, it was an unforgettable week, and one that I’ll remember for many years to come. 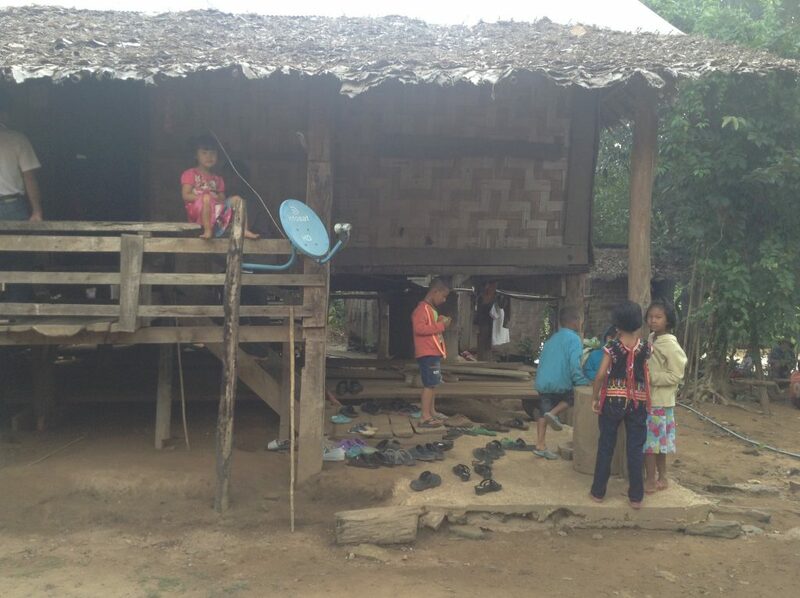 When I came to Thailand, I was ignorant about the plight of the Karen hill tribes, and I was unaware of the exploitation that they face. It made me think deeply about the way that tourists impact a country. Since that time, I have vowed to only participate in ethical and sustainable tourism activities. I’m not saying I’m perfect, but there are certain things I would never do such as visiting fake villages, elephant riding, or participating in projects that exploit local people in the country I am in. The great thing about travelling the world is that you get to learn about new cultures and come face-to-face with amazing, resilient communities that you could never have met otherwise. But there is a dark side to the tourism industry. Indigenous cultures all over the world can be exploited or “Westernized” thanks to the encroachment of globalisation. This is a particular problem in Africa and Asia. Only by travelling do you learn the true story of what is going on in the world. I am also aware that travelling is a luxury that many people across the world simply don’t have. So I try to learn the lessons that my journeys have taught me and become a better person as a result. Before I went to Thailand, I never thought that building a few mud houses and sleeping in wooden huts could change my entire outlook on the trip and on life in general. But I’m glad it did. I became a better person as a result.